Austrochip is an annual meeting and platform to present the latest activities in the field of microelectronics and integrated circuits in Austria and neighboring countries. The workshop is a forum for discussion and contact between academia and industry. 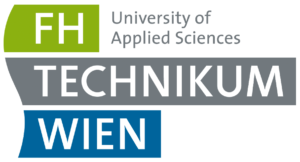 The 27th edition of Austrochip will take place in Vienna, Austria, on 24th October 2019 and will be organized by the University of Applied Sciences Technikum Wien, Department of Electronic Engineering, Vienna, Austria. Detailed information is available on the Austrochip 2019 Website.